We put the "tele" in telehealth. Convenient for healthcare providers and patients alike. 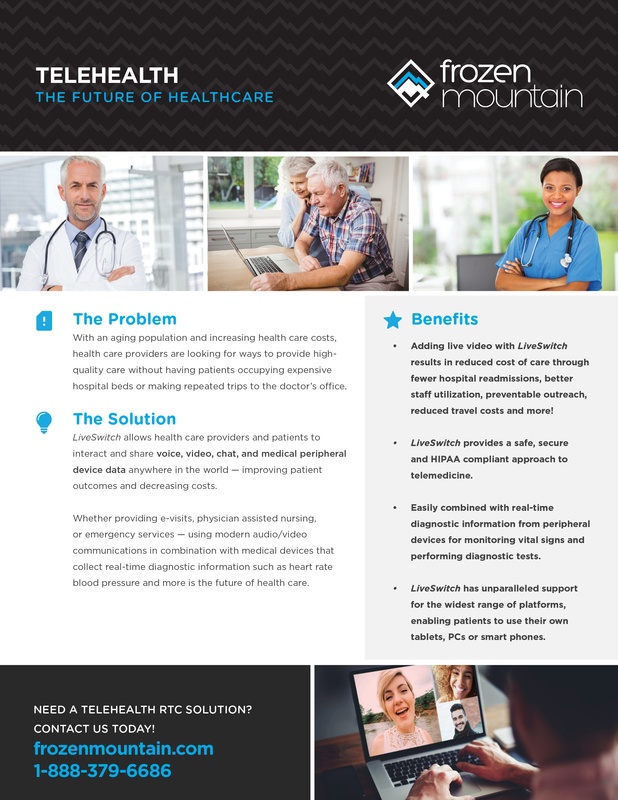 Learn more about how WebRTC and Frozen Mountain's LiveSwitch product, is changing the healthcare industry.